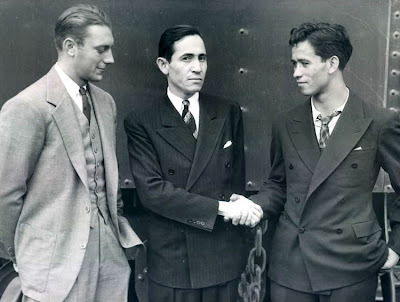 Navas, the captain of the 1935 University of Mexico team. After leading Alabama to a victory over Stanford in the 1935 Rose Bowl, halfback Dixie Howell took a job as the head coach of the football team of the Universidad Nacional Autónoma de México in Mexico City. The former All-American brought his Crimson Tide teammate Charles Marr with him to Mexico as an assistant. American oil magnate Harry Ford Sinclair sponsored the squad, footing Howell and Marr's salaries as well as purchasing the team's equipment. The Pumas highlighted their 1935 season with a series of games against US squads. They traveled to Los Angeles on Sept. 21 for their first game but were trounced by Occidental College 26-7. The next contest against Lamar ended in a 32-0 blowout and then a 27-7 loss against Louisiana College. Howell and Marr eventually suited up and played for the Mexican team in a game against St. Mary's College of Texas. Despite the losses north of the border, the Pumas would go on to a successful season in the Organización Nacional Estudiantil de Futbol Americano league, claiming the school's third national championship. Howell did not return to Mexico City the next season but took a job as an assistant coach at Tulane. He would later go on to become head coach at Arizona State University and the University of Idaho. 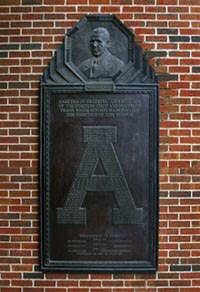 In 1946 he served as backs coach at Alabama. Marr took over the head coaching duties at the University of Mexico for 1936 and 1937 claiming the Mexican championship in each season.